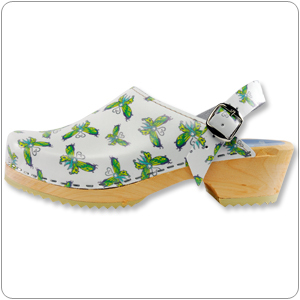 Help break the silence in Cape Clogs footsteps with the Ovarian Butterfly Awareness clogs! Made with alderwood soles and genuine leather uppers with heel strap. ©Copyright 2011 Cape ClogsTM All rights reserved.